Our Walk4Water11 Sponsors allow us to cover the cost of Walk4Water11 so that 100% of registrations and donations are used to provide clean water to villagers in rural Zambia. 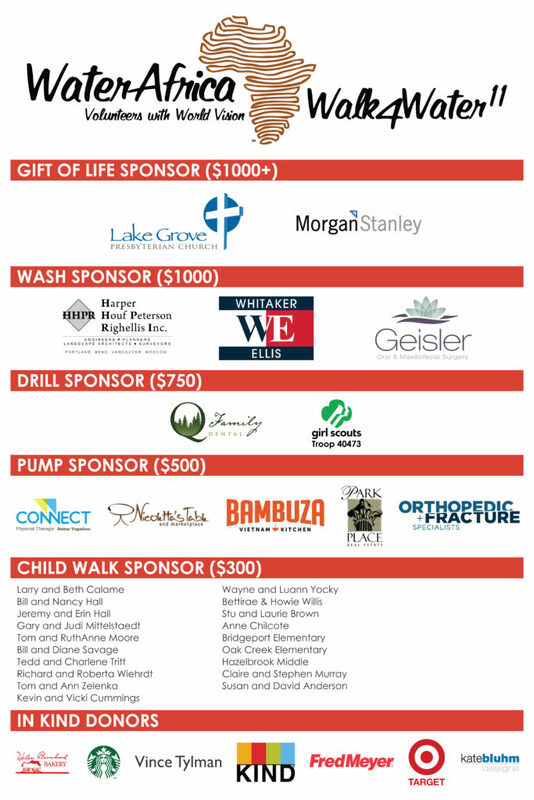 If you can join us as a Walk4Water11 Sponsor, please find info here. Share the post "Walk4Water 11 Sponsors"